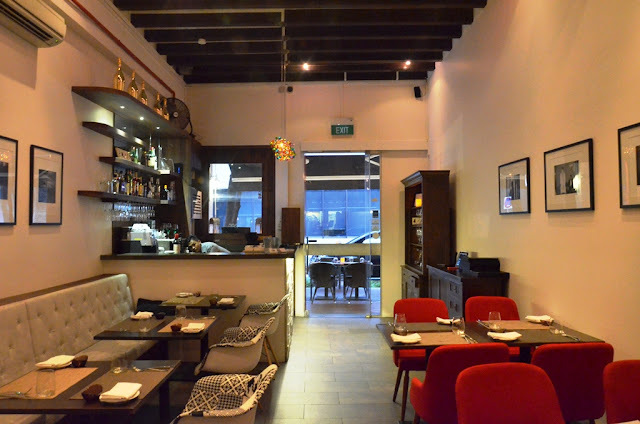 For those who work in the CBD area, you would agree that Telok Ayer has gone through quite a fair of transformation at least the F&B scene. Apart from dessert parlour Pantler, there are also established restaurants such as Burlamacco. More recently, Park Bench Deli and Grain Traders also joined the F&B bandwagon to provide those who work in the area more dining options. 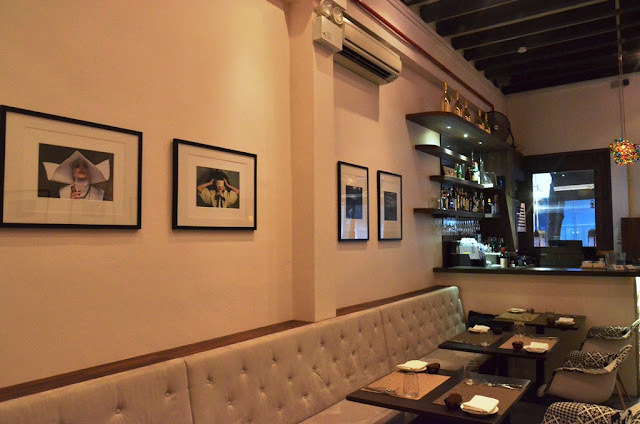 Having only opened earlier this month, Pepenero is probably the latest entrant to the hood that offers an intimate dining experience in a classic Italian retro setting. 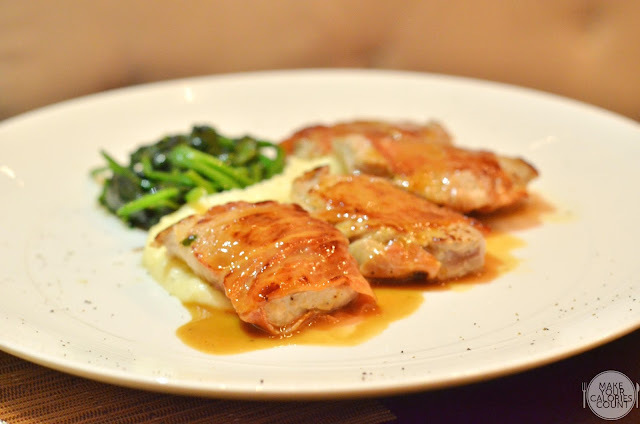 Retaining the traditional essences of Italian cuisine, Pepenero promises to bring locals a taste of Rome with its dishes as that was where Head Chef, Daniel Singleton was born. Having exposed to a variety of cultures, Chef Daniel was greatly inspired by his mother's cooking as a child which encouraged him to pick up cooking. 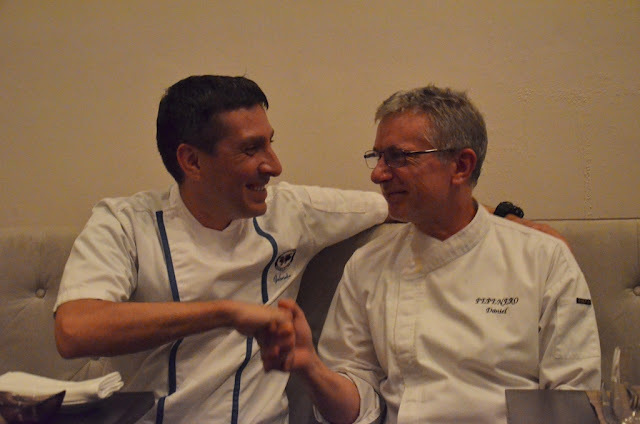 Spending more than a decade in his hometown, he joins Burlamacco's Executive Chef and Owner, Chef Gabriele Piegaia in running Pepenero as this serves as the latest brainchild of the latter. 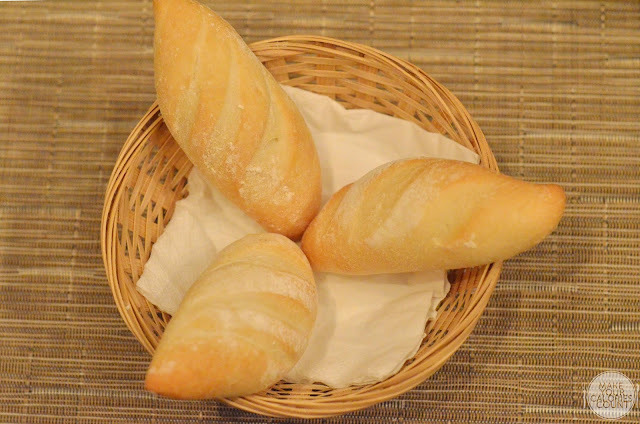 Like most Italian restaurants, we appreciated the nice gesture of serving up some fresh rolls to go with olive oil dips. We would have preferred it better if the rolls were served warm just to give that assurance that these are not taken off the rack and brought to our table. 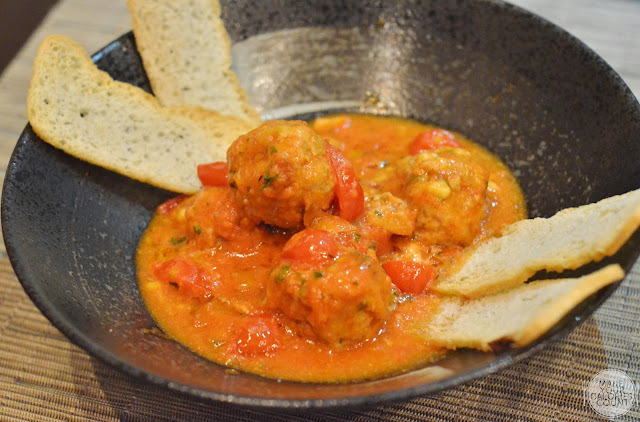 One of the recommended starter dishes, this meat ball classic is also featured on the restaurant's degustation menu and usually you cannot go wrong with that. With a rich home-made tomato sauce created from scratch, mozzarella was introduced to intensify flavours. 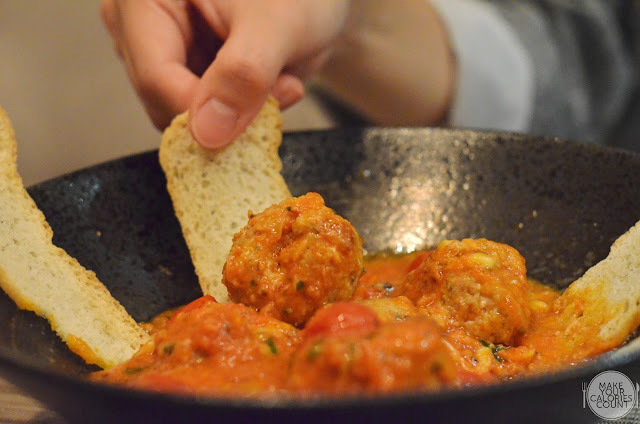 Despite the relatively large size of the meat balls, it was cooked beautifully throughout to the core, each mouthful full of that juicy pork mince. The succulence in each bite was a useful contrast to the thinly sliced toast that added a new dimension in texture with its crispness. A very palatable dish in terms of flavours though one might argue that it could be quite heavy for a starter. An Italian meal is never complete without some quality pasta and this signature dish of the chef nailed it. 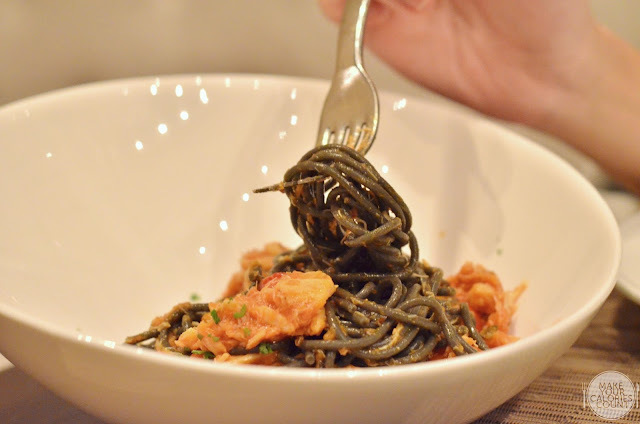 A second dish on the degustation menu, the al dente squid ink pasta was a savoury treat to the palate as it imparted a slightly salty flavour to the carbohydrates. 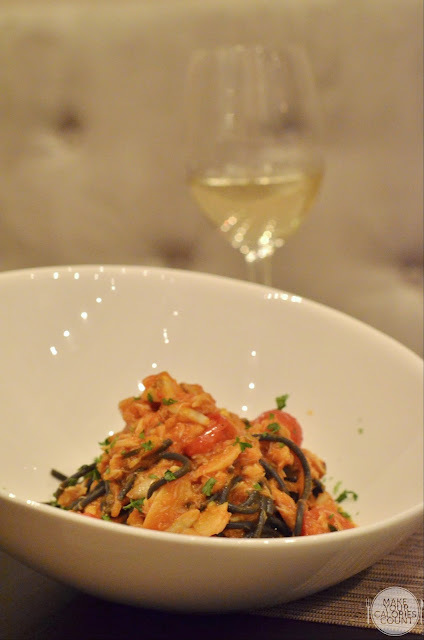 The generous chunks of crab meat soaked in a tomato-based sauce went surprisingly well with the squid ink pasta. With two core seafood elements in that bowl bursting with freshness, one could hardly go wrong with this option particularly if you are looking to impress your business associate over lunch. While this dish might not arrive in the most fashionable Italian-way on the food runway, it won us over in terms of quality of ingredients. Spotting at least four large sized Tiger prawns, it was cooked beautifully and the shell came off with a light tug. 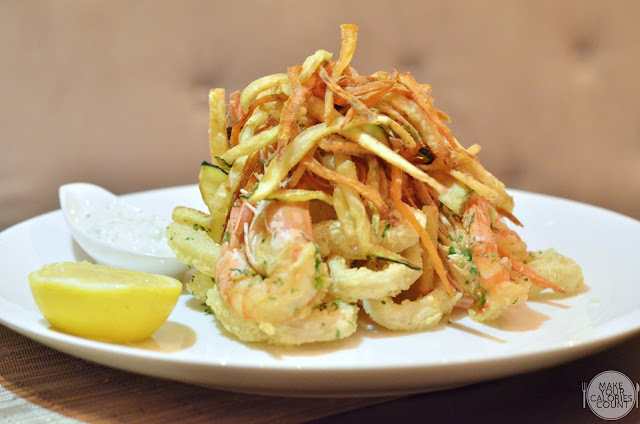 Dressed in a light batter, the calamari rings were a delight as it saw just the right amount of time in the fryer to retain a slight chewiness without tasting like aged rubber that would not snap. Do give that wedge of lemon a good squeeze and the acidity would balance out the salted deep-fried vegetables. The natural sweetness from the sweet potato slice for instance stood out as the complexity in flavours made us return for repeated servings. The thinly sliced cut of meat sandwiched some sage leaves and neatly wrapped by parma ham on the surface. 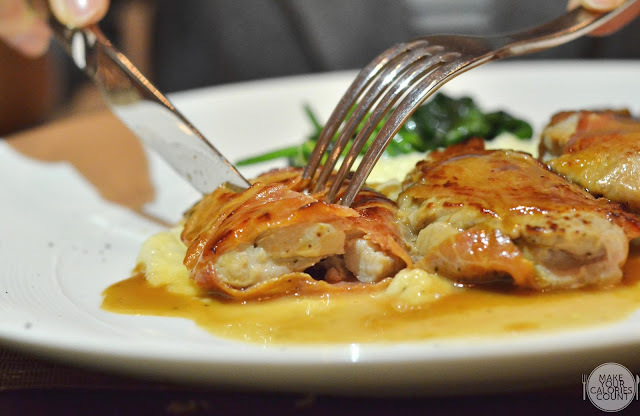 The savoury parma ham imparted a favourable savoury flavour to the otherwise plain but delicately cooked veal. Dressed lightly in a brown gravy, this would go well for most people. 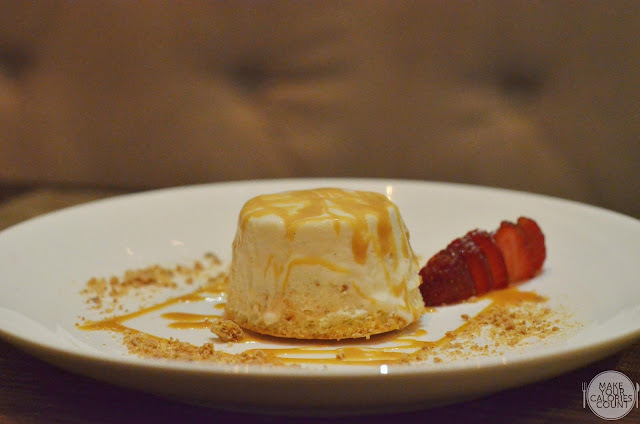 Zabaglione is a rather traditional Italian dessert made with egg yolks, sugar and typically Marsala wine that helped the dish inherit its sweetness. A light custard whipped to incorporate air, it was made into a semi-frozen ice cream cake. We were not completely wowed by the dessert though it was a worthy try for those seeking something different from say a chocolate lava cake (which is also available on the dessert list). I was perhaps looking for something a little more definitive in flavours and textures to end dinner given the impressive dishes along the way. In terms of ambience, it was kept simple by Chef Gabriele though we expect him to accessorise the restaurant more along the way. A quick refurbishment was carried out and guests can expect a retro-theme setting lined with even more paintings in due course. We were smitten by the cosy and comfortable sofa seats complemented by the dim lightings which made photography indoor quite a struggle especially since we visited in the evening! Customer service was spot-on and given the relatively small outfit of Pepenero, it would be easy to catch the attention of the well-trained servers who were brought over from Burlamacco. 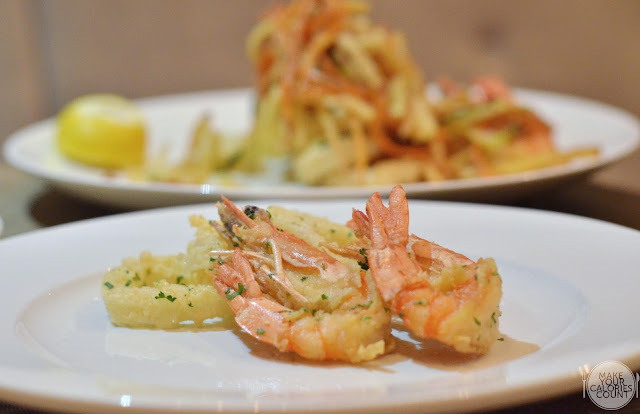 If you have been to Burlamacco, you can be assured of stepping into another Italian dining experience at Pepenero.